Don’t the buns look delicious? I had always thought we can only get fresh hot buns in the restaurants, but we can do it at home too, if we care to try. 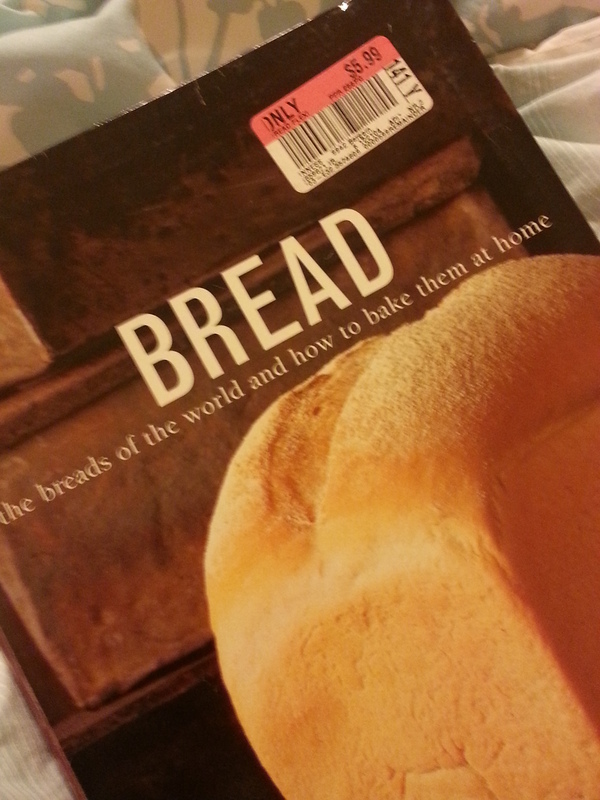 Bought a Bread cook book years ago for $5.99 from a clearance bookshelf and I have only flipped through it all these years; it looks too hard to try. But we finally did it; good job Hanna! Yummy hot buns from our own oven! Sift the bread flour and salt together into a large bowl. Stir in the sugar. Rub the softened butter into the flour. Mix the yeast with 4 Tbsp of lukewarm milk. Stir in the remaining milk. Pour into the flour mixture and mix to form a soft dough. Turn out onto a lightly floured surface and knead for 10 minutes until smooth and elastic. Place dough in a lightly oiled bowl, cover with plastic wrap, and let it rise in a warm place for one hour or until doubled in bulk. Turn out the dough onto a lightly floured surface and gently punch down. Divide into 12 equal pieces. Shape into balls and place on the baking sheets. Use a sharp knife, cut a cross on top of each roll. Cover with plastic wrap and let it rise, in a warm place for about 20 minutes or until doubled in size. 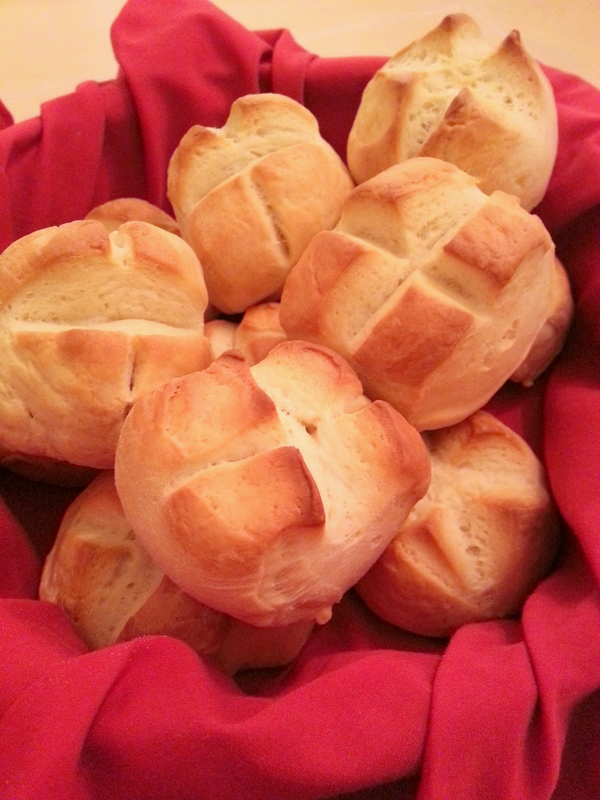 Brush the rolls with milk and bake for 20 – 25 minutes or until golden. Transfer to bread basket. Enjoy!